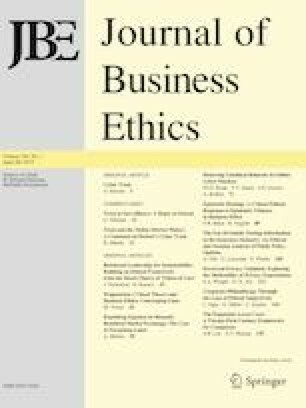 This paper investigates how social trust affects stock price synchronicity using a large sample of listed firms in China. We propose and provide evidence that social trust has a significantly positive impact on the amount of firm-specific information capitalized into stock prices. Further analyses indicate that firms located in regions of high social trust tend to have a smaller stock price crash risk and are less likely to engage in opportunistic behaviors than those in low-trust regions. Moreover, the positive role of trust in increasing firm-specific return variations and discouraging corporate misbehaviors is more pronounced for SOEs than Non-SOEs. Evidence from 2SLS regressions supports a causal impact of social trust on stock price synchronicity. This work was supported by the National Natural Science Foundation of China [No. 71702102,71472041]. Kaufmann, D., Kraay, A., & Mastruzzi, M. (2010). The worldwide governance indicators: Methodology and analytical issues. World Bank Policy Research Working Paper No. 5430. http://www.ssrn.com/abstract=1682130.